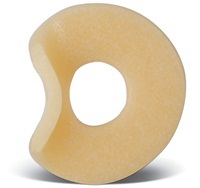 The Parthenon Company Blog - Specialists in Wound and Ostomy Supplies: What are Eakin Cohesive Seals and How Are They Used? What are Eakin Cohesive Seals and How Are They Used? Save 10% Next Time You Buy Eakin Rings! There are three sizes depending on the your specific needs. How to use Eakin Cohesive Seals? Step3: Stretch and form the Eakin Seal to your needs. Cohesive seals are completely moldable unlike other hydrocolloids. Mold the cohesive to fit the shape and size of your stoma. Step4: Create a “turtleneck” effect pushing the Cohesive up from the base of the abdomen. Step5: Place ostomy pouch around stoma and hold in position. Eakin Seals provide soft convexity for flush and retracted stomas. They can be used with a regular or convex flange to provide a tailored level of convexity to suit your needs. Also, more than one Cohesive Slim can be used at the same time to provide extra convexity. This is sometimes the case with large and irregular shaped or complicated stomas. “Double” Thickness Eakin Seals can be used to offer extended protection. Eakin seals are a popular accessory and an effective tool to improve fit, absorb, and improve stomal skin health. 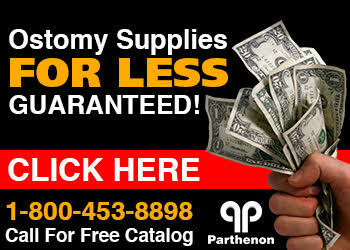 It and other Ostomy Supplies can be purchased at the Parthenon Company in Salt Lake City, Utah - specializing in ostomy, wound dressings, and other medical supplies.